Is it important that our wines express vintage variation? Do the majority of winemakers encourage this? There is still a commonly held belief that given the Cape’s generally temperate climate, vintage variation is limited and good wines can be made every year. Of course there will be some good wines every year (that’s true of every wine producing country) and consistency is to be applauded, but consistency should be a reflection of quality rather than the forcing of wine into a style that the vintage doesn’t deliver. The result will likely not be very enjoyable but also lack authenticity. 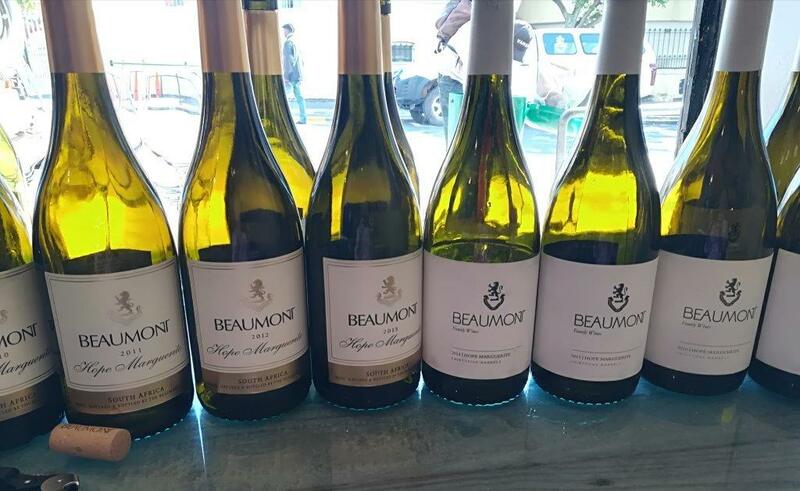 This was an issue raised by winemaker, Sebastian Beaumont at the recent vertical of Hope Marguerite Chenin Blanc, Beaumont Family Wines’ star white. ‘It is what it is,’ he commented as 2013 was poured (the vertical covered 2010 to the newly-released 2017). The weather event making a tall poppy of the wine was 50mm of rain over five days in February, just what botrytis spores ordered. The regular spontaneous fermentation stopped with 8 grams/litre of residual sugar, the highest ever (>2 g/l is more usual), and a suggestion of honeyed botrytis. Beaumont admits there were doubts about releasing this very different Hope under that label; ‘Will customers understand this vintage variation?’ As a Hope enthusiast, I wouldn’t have wanted the farm not to release 2013; yes, it’s sweeter, more luscious than other years but well balanced and should gain in interest over at least the next three to five years. Beaumont also produced a Demi-Sec chenin that year. Hope Marguerite Chenin Blanc 2010 – 2017. The story of Hope Marguerite begins in 1974 and 1978, when the two chenin blanc vineyards providing the fruit were planted as bush vines. They’ve since been lifted onto a low trellis. A prototype Hope under Chenin Blanc Barrel Reserve was made in 1996 by Niels Verburg; the first Hope Marguerite followed in 1997, the name honouring that of Sebastian Beaumont’s much-loved paternal grandmother, ‘an elegant lady’, much like her wine. An unfussy vinification takes place in barrel, mainly around 13 years old with up to 25% new, depending on vintage; during its year in oak, the lees are stirred every two to three weeks with S02 added, as is acid when necessary but at the pre-ferment stage. Elegance is a constant; alcohols, generally around 12.5%, Beaumont’s ideal, occasionally step up to 13.5%. But it’s more fruit evolution than alcohol which makes some vintages, notably drier ones, seem bigger: 2010 and 2012 fall into that category, although the latter has a lighter, more vivacious feel than the nose suggests. Without doubt, the star of the older vintages is 2011. On arrival, we were served the unwooded Chenin Blanc 2011; still singing, it enjoys a wet wool (nicer than it sounds! ), ripe red apple complexity lifted by crunchy, fruity acidity. Hope is more complex with a steely backbone and tasty, savoury length; still youthful. It seems a pity to drink it even now, as much more is promised in future. It is extraordinary that South African chenin, grown in a much warmer climate than that of the Loire, has the ability to age, if not as long as its French counterpart, at least longer than one would think possible. Seven years is nothing for the 2011. I’ve found an 09 in the cellar; it will be interesting to see that as a 10-year-old. 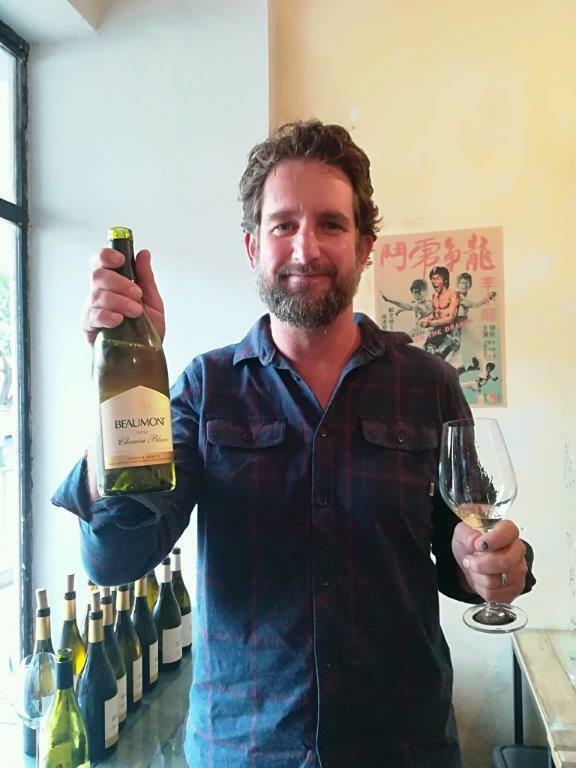 Most vintages of Hope are serious, contemplative wines, very ready to show off their best with Asian food – and doubtless, other dishes – but Sebastian Beaumont had chosen South China Dim Sum Bar as a venue; this compact space has its priorities right, putting food first, fancy décor nowhere. As laid-back as Beaumont. I hadn’t been too enamoured of Hope 2010; from a hot, dry vintage, it has developed, ripe flavours, the acid a little sharpish. Matched with prawn dumpling in broth, it took on a whole new life. Vintages exhibiting spice – 2015 and the more exotic 2016 – couldn’t be better served than with the range of Dim Sum at this popular restaurant. Beaumont describes 2014 as a ‘wallflower vintage’; understated is perhaps a kinder description, as it reflects many of the positives associated with Hope but in more of a sip-and-chat style than demanding one’s undivided attention. My enthusiasm for 2017 whites is again boosted by this latest Hope Marguerite release. Intensity, concentration and tension are the key elements; challenging at present, everything points to a magnificent maturity. The creative genes that run through the Beaumont family across many endeavours fits perfectly with winemaker, Sebastian’s comment, ‘it is what it is’, an expression of the vintage; I can’t imagine him trying to make a wine that adheres to style only. What happy coincidence Hope Marguerite celebrates its 20th vintage with a great wine, one not shying from a sense of site nor vintage variation.